And I got to enjoy berries wearing a Santa hat. For more elegance, please visit: Our World. 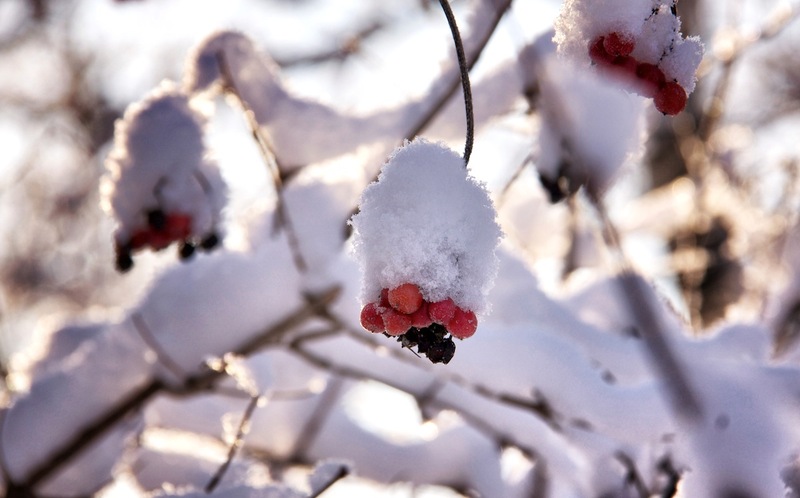 Posted in Nature, WinterTagged berries, elegance, joy, Our World, snow, snowballs, snowflakes, SwedenBookmark the permalink. All the beauty of winter! Wonderful photos! Oh how elegant Fiona – love seeing these snow photographs. We actually had a major temperature drop here delivering us finally a blow to winter with sleet, ice and this morning tiny snow flakes. Just beautiful! The images and the descriptions extol winter. These are some of the reasons why I love this season! Fiona, it’s so wonderful to read a blog in which the author enjoys winter the way I do. You see winter the way I see winter…elegant! Stunning photograph! And I love how you describe things. Have a super Monday, my friend! I love how you captured the elegance of the season Fiona! The season beautifully shown in a series of stunning photographs. I love every one of them but the last showing the falling snow is special to me. Brilliant, the snowdrops on the branch, fabulous. Love the last shot. Snow brings joy! Lady Fi, your descriptions and winter images and snowflakes are all lovely.. have a happy week ahead! You’re one of the few people who can post about winter and make me glad that we’re sharing the same season. 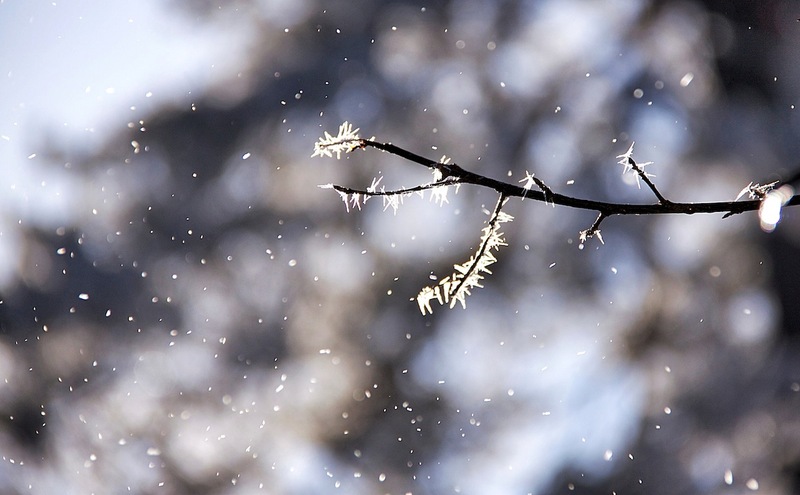 The last shot truly captures the wonders of the cosmos in tiny snowflakes. Just so lovely! The last time I saw snow I was two years old, so I really love these photos. Great photos of all the beautiful snowy scenes. I am so excited that you have a new doggie now! Simson is a beauty! So much like Oscar. So beautiful! I enjoy seeing all of that icy wonderland from my warm house! There’s no doubt that Winter has it’s own unique beauty, especially there where you live Fiona. Beautiful images. I’m taking my Santa’s hat off to you for a beautiful post and brilliant photos. Very poetic. You captured the elegance of winter so well. Beautiful shots all, but that last one is epic! So beautiful and truly elegant. my favourite is the last one with the frost and snowfall. You have a gift with your eye and your sense of words. Such beautiful pictures and so perfectly illustrated by your words. Snow balls. And to think I was thinking Snow Goose all the way. There is intimacy in these shots, as pure as the snow. Wow! So beautiful! I love it. I do agree with Yogi, you do indeed have a gift with your eye and your beautiful words!! Thank you, as always, for sharing! Oh la! Superb wintery images Fiona.. I can’t even begin to tell you how much I enjoyed seeing them on a 41C degree day here in Perth, merci beaucoup. Snowflake diamond, snowflakes of joy and elegance of winter – how beautiful winter is! So magical. Great that you’ve captured its majestic beauty. Winter can definitely produce some truly spectacularly beautiful scenes that I do so enjoy…Still, I am starting to yearn for spring that should be here in about a month. Beautiful pictures ! But now I wish spring would move in ! Elegant, beautiful and magical …. Here no winter, the spring may now come quickly, from me. Love your diamonds on their slender stems! It’s true that winter has elegance and class. I especially love the daintiness of that last image. The snow on the berries is really beautiful. These are fine images that are works of art. Excellent. 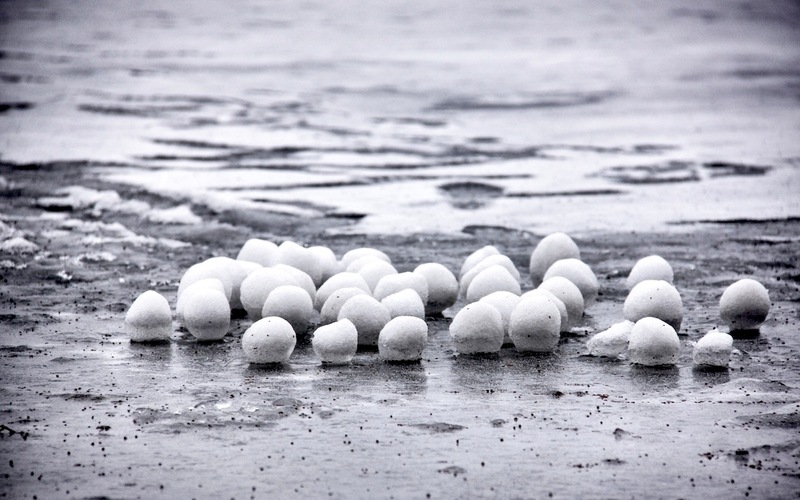 snowballs on the beach – how cool is that?! I so loved the first picture, the red berries with cap! So fascinating for me to watch. Beautiful snowfall photos. :-)) I love how you capture Winter. Wonderful winter shots. The snow balls are interesting. Those berries and the dry plant with snow on it (that looks like flowers) look very pretty. Each of these is a gem! Stunning and beautiful images! I love these! 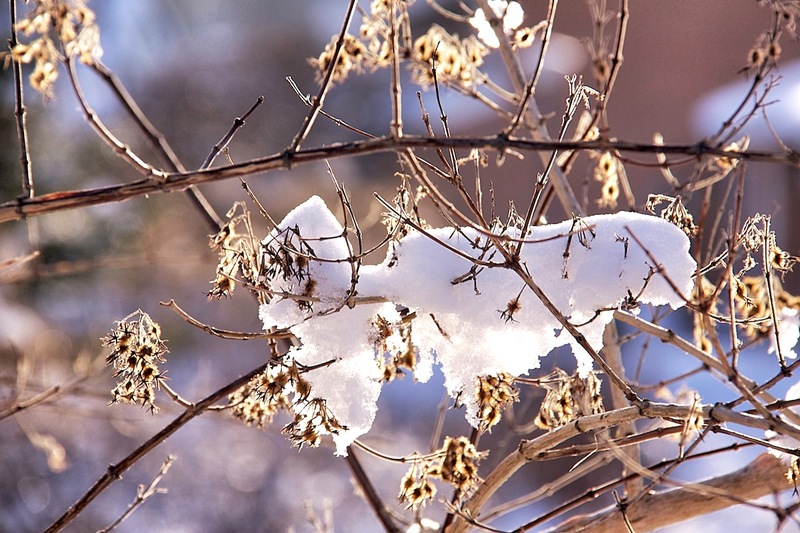 Your photos here really show the beauty of winter! The last image is my favourite – beautiful snowflakes!!! Lovely post and amazing winter photos ! You give me a side of winter that I have yet to experience in person. I love it! “Snowflakes of joy”… I’m hoping to have some in the next days… 🙂 Forecast says something about precipitations as soon!! Our winter was and wasn’t… “but i’m dreaming of”… and i feel joyful – still!! Have a good day! You found treasures on this snowy walk, Fi. I like the glitter and the simplicity of snow. Gorgeous – I love snow! You take the most beautiful winter pictures. Beautiful snow statues! Unfortunately, in my hometown seen almost no snow:-(and why I so enjoy these pictures Lovely to see the snow on the berries but your last picture I find great! Wonderful photos, as always. We haven’t had much snow here this year. Hi Fiona, what stunning photos. I love the berries dressed as Santa and the snow balls. 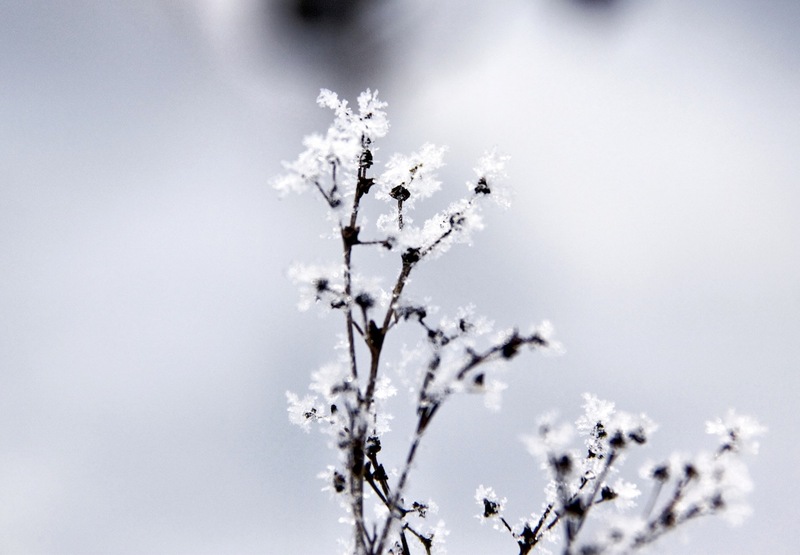 Thanks for sharing your really beautiful winter images. You captured the elegant beauty of nature. We are having a lot of snow this week–we had a foot today and will get more over the next three days. I love all your photos, especially the last one! So sorry for my belated comment, have a wonderful coming weekend. These are BEAUTIFUL photos – I especially love the Santa hats! I love the last image the most! So much happiness and joy comes through it, isn’t it! So beautiful Fi… I love the last picture most especially… yes indeed winter is elegant. I’m seeing so many wonderful posts about snow but we had just one snowy morning. Your photos are beautiful as ever. excellent series of gorgeous images.